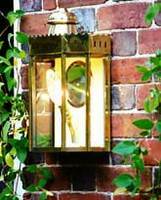 Oil lights remain an attractive choice tor gardens, especially for occasional use in outdoor sitting and eating areas. The ‘oil’ which the lights burn is paraffin (also known as kerosene). 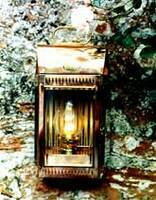 Oil lights are portable and do not require expensive installation. Oil lights give out a most attractive warm flickering light - and some heat, which can be very, welcome at cold barbecues. 'Oil lights' can also be obtained with electric wiring and standard bulb-holders, for use in fixed positions as porch or conservatory lights. It is necessary to check whether electric versions are designed for use in places where they will get wet.